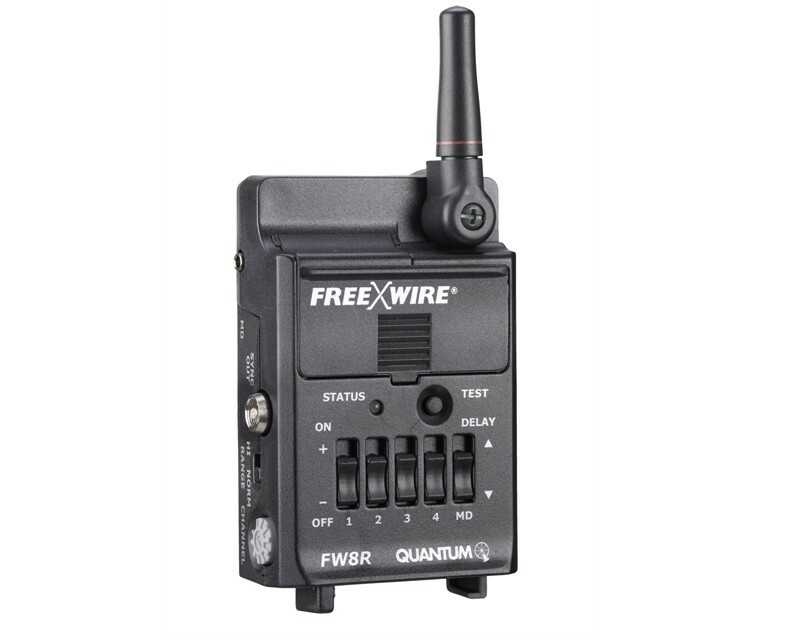 FreeXwire Receiver ONLY - The FW8R & FW9T are available as an economical set (FW89) consisting of one FreeXwire transmitter FW9T and one FreeXwire receiver FW8R, including one basic #434 sync cable. Basic Flash Synchronization Provides basic camera-to-remote flash synchronization or remote firing of camera. Remote Control of Qflash When FreeXwire components are combined with a Quantum Qflash T5d-R, X5d-R or any Qflash upgraded to 3d-R and a dedicated camera TTL adapter, you have extensive remote control of manual, automatic and TTL exposures, including, ratio and fill flash. Wireless Control of Remote Camera Receiver FW8R can wirelessly trigger many professional and semi-professional cameras remotely. Receives signals from a hand-held transmitter FW9T. Control Multiple Remote Qflash Add additional Qflash T5d-R, X5d-R or any Qflash upgraded to 3d-R and FW8R or FW7Q receivers for more complex lighting scenarios. Remote flash can be organized in two separate groups; control each group independently for exposure ratio and on/off. Limitless number of flash in each group. FreeXwire has eight frequency channels and four zones, offering 256 control possibilities. Extend Range Insert a FreeXwire FW10W transceiver between any FreeXwire transmitter and receiver and extend useful range by about 250-500 ft. (75-300m).